The U.S. Senior Women’s Amateur is the last amateur event of the USGA season. The best senior women’s amateurs will head south to Orchid Island Golf & Beach Club in Vero Beach, Fla., for the championship, to be played Oct. 6-11. The USGA accepted 526 entries for what will be a 132-woman field. Players must be 50 years old by Oct. 6 to qualify. Susan Beaupied earned a spot in the Senior Women’s Amateur days after winning the Carolina Senior title. Beaupied won the hurricane-shortened event with an even-par 72. Her 2-over 74 at the qualifier at the Members Club at Woodcreek in Elgin, S.C., set her up for medalist honors. Three other players punched their tickets, including Cissye Gallagher, an accomplished Mississippi-based player whose husband Jim Gallagher Jr., is a five-time PGA Tour winner. Broadmoore Country Club in Indianapolis, Ind. Bent Creek GC in Eden Prairie, Minn. Patsy Ehret took the top spot on a tightly packed leaderboard at the qualifier at Vero Beach Country Club, just a few miles down the road from Senior Women’s Amateur venue Orchid Island. In all, nine players qualified for the championship out of Vero Beach. Among the other players to qualify were Kim Keyer-Scott, who played college golf for Northern Kentucky University while in her 30s (and won many times). At 50 years old, this will be her first Senior Women’s Amateur start. Keyer-Scott was part of a five-woman tie for third at 4-over 76. That group also included Tama Caldabaugh, who was a semifinalist at the 2015 Senior Women’s Amateur. Lynne Cowan is a golf legend in California. She has won four California Amateur titles and in May, won her third California Senior Women’s title. 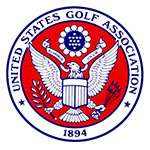 Cowan tied for medalist honors with Rachel Moreaux at qualifier at La Rinconada CC in Los Gatos, Calif.
Northampton CC in Easton, Pa.
Lisa Schlesinger didn’t take up golf until her 30s, but you wouldn’t know it to look at the list of USGA championships she has appeared in. The Fort Myers, Fla., resident will play in another one next month after medaling at the qualifier at Argyle Country Club in Silver Spring, Md. Schlesinger is a former college and professional basketball player who was medalist at the Senior Women’s Amateur in 2011 and 2012. She had a 74 in the qualifier to win medalist honors by two shots over Mimi Hoffman. After carding a 5-over 75 in the 18-hole qualifier at the Wianno Club in Osterville, Mass., Auburn’s Kristen Henderson was the top finisher from the Bay State, finishing one stroke behind medalist Marie-Therese Torti of Canada and leading the contingent of three Massachusetts residents who will head south next month for the final USGA Championship of the 2018 competitive season. Joining Henderson amongst the locals in Vero Beach, Fla., next month will be Lexington’s Sharon Hayes and Ashburnham’s Joanne Catlin. Carrie Langevin of Henderson, Nev., and Winthrop, Maine edged Worcester’s Mary Gale for the final qualifying spot. Silvermine GC in Norwalk, Conn.
Courtney Myhrum, from Pittsburgh, Pa., was among the two women to qualify out of Youghiogheny Country Club in Elizabeth Township, Pa. Myhrum has been a member of the USGA Women’s Committee since 2011 and volunteered as a rules official for 13 years before that. Myhrum got onto last year’s Senior Women’s Amateur bracket with drama last year. She sunk a 65-foot par putt on the second playoff hole to take the 64th spot. Then, she beat co-medalist Lara Tennant in the first round. Egypt Valley CC (Valley Course) in Ada, Mich.
Robin Burke, the 2016 U.S. Curtis Cup captain, has qualified for her second USGA event of the fall. Burke already qualified in August for the U.S. Women’s Mid-Amateur, and on Sept. 10, also qualified for the Senior Women’s Amateur at Denton Country Club in Argyle, Texas. Burke had a 5-over 77 to gain entry. Burke is a veteran of more than 35 USGA individual championships. She has reached the semifinals of the U.S. Women’s Mid-Amateur Championship three times, and in 2003, she took stroke-play medalist honors in the Women’s Mid-Amateur at Long Cove Club in Hilton Head Island, S.C. Burke was the runner-up in the 1997 U.S. Women’s Amateur. Kathy Glennon took the first of two qualifying spots at Franklin County Country Club in St. Louis. Glennon, who had 7-over 78, was the 2017 Missouri Women’s Mid-Amateur champion and a member of the three-woman team who represented Missouri in the 2017 USGA State Team Championship. Fourteen players qualified for the Senior Women’s Amateur out of the qualifier at Rancho Santa Fe (Calif.) Golf Club. Corey Weworski, the 2004 U.S. Women’s Mid-Amateur champion, and Fay Chen led the pack with 2-over 74. The qualifiers also included Kathy Kurata, who won the SCGA Senior Women’s Amateur in February. Kurata had 79. Annette Gaiotti – who, at 64, was one of the oldest competitors in last year’s Women’s Mid-Am – also qualified with a 79. The Patriot Golf Club in Owasso, Okla. The qualifiers at the Country Club of Colorado in Colorado Springs was a Colorado sweep. Seven in-state players qualified for the Senior Women’s Amateur, and many will be making repeat appearances. Marilyn Hardy, the medalist at 5-over 76, is right around 40 USGA championships and will be playing in her seventh Senior Women's Am in her seventh year of eligibility. "Any time you can qualify for a USGA event, it's a badge of honor," the 56-year-old Hardy told the Colorado Golf Association. Colorado Golf Hall of Famer Janet Moore, who advanced with 10-over 81, is in a similar position. She is now five-for-five in advancing to the Senior Women's Amateur, and this year's event will be her 28th USGA start overall. "Which is really impressive until you hear Carol Semple Thompson's 100-plus," Moore said with a laugh. "Then it's like, 'Oh.' I remember somebody said, 'Janet, that's so good.' Then you go to the players' dinner (at USGA events) and there's 70, 80 and (Semple Thompson's 100-plus). It's a different league. There's a whole different realm out there." Rhonda Orr, winner of the Golf Manitoba Provincial Senior Championship in July, was among the qualifiers out of McHenry (Ill.) Country Club. Orr had 60-over 78 at McHenry to finish as part of a three-way tie for medalist honors. Skagit G&CC in Burlington, Wash.
Karen Madison, the 2016 Washington Super Senior Women’s Amateur champion, went west to qualify for the U.S. Senior Women’s Amateur. Madison, of East Wenatchee, Wash., tied for medalist honors at Anchorage (Alaska) Golf Course. She and Darci Trimmer of Willow, Alaska, had 8-over 80 to advance. Kathleen Westlund, who came all the way from Fort Myers, Fla., was the third qualifier. Susan West, who was the first player to apply to play in the inaugural U.S. Senior Women’s Open, has qualified for the Senior Women’s Amateur. West ultimately missed the cut in the Women’s Senior Open in July. One Sept. 5, she tied Kelley Nittoli with 77 at Hillwood Country Club in Nashville, Tenn., to take the final qualifying spots. West was a quarterfinalist at the 2014 Women’s Senior Amateur. We have our 4 players advancing to the @USGA U.S. Women’s Senior Amateur after qualifying at @HillwoodCC. Donna Lowen of Huntsville, Ala., won medalist honors with a 75. Brenda Pictor is a well-known name in Georgia women’s golf. The 63-year-old qualified for the Senior Women’s Amateur with a 4-over 76 at Country Club of Roswell (Ga.). She led the four other qualifiers in scoring. Pictor has played a handful of USGA events, and has also qualified for this fall’s Women’s Mid-Amateur. She is a six-time Georgia Women’s Senior Amateur champion and 20 years separate her Georgia Women’s Amateur titles, won in 1994 and 2014. Kim Eaton led a long list of qualifiers out of the Estancia Club in Scottsdale, Ariz. Eaton, a member of the Colorado Golf Hall of Fame, is a two-time U.S. Senior Women’s Amateur quarterfinalist who won the 2016 Jones/Doherty Senior. Eaton had even-par 72 at Estancia Club, which was two shots ahead of Liz Waynick, runner-up at the 2012 U.S. Women’s Mid-Amateur. Waynick also played the U.S. Senior Women’s Open earlier this year but missed the cut. The first alternate at the qualifying site was Noreen Mohler, 2010 U.S. Curtis Cup captain. Tuscaror GC in Marcellus, N.Y. The U.S. Senior Women's Amateur Qualifier is open to all competitors with an index 18.4 or lower who will be at least 50 years of age at the start of the championship. Format is 18-holes of stroke play. Qualifying sites scattered across the U.S.